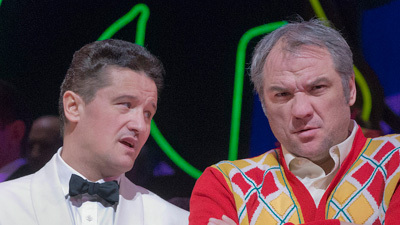 Verdi’s Rigoletto offers as pure a measure of operatic performance as any opera house can present—a concise, riveting masterpiece, with one of the composer’s most sublime and lucid scores. 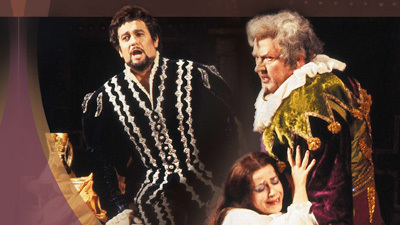 For this performance, broadcast on April 8, 1967, Rigoletto drew a brilliant trio of stars—baritone Cornell MacNeil in the title role with soprano Roberta Peters as Gilda and the impeccable Swedish tenor Nicolai Gedda as the Duke—conducted by Lamberto Gardelli. 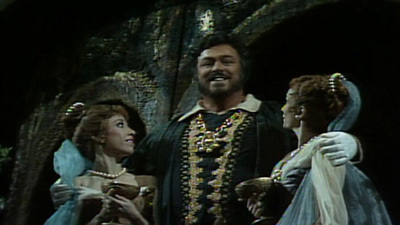 MacNeil made his Met debut as Rigoletto in 1959, his overwhelming performance an instant sensation. With a silvery, pinpoint voice, Peters had become virtually the Met’s resident lyric soprano and would go on to sing 88 performances of Gilda with the company, more than any other artist. This was one of only five performances Gedda gave as the Duke at the Met.